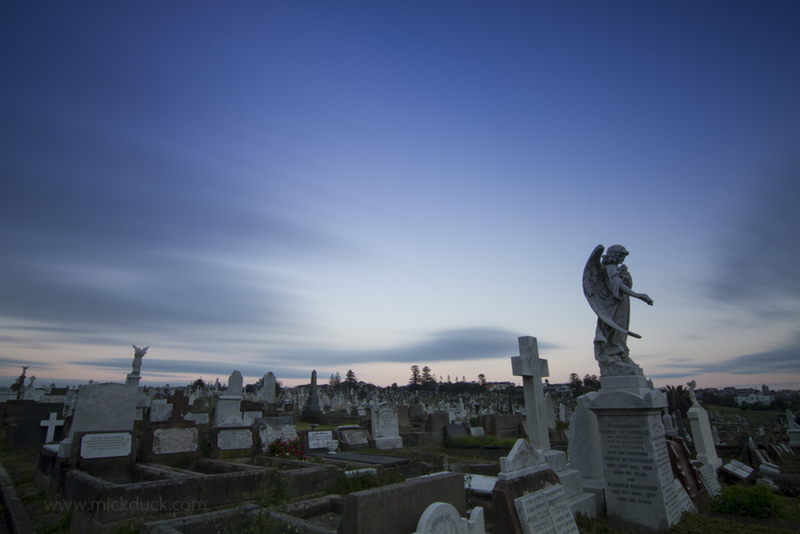 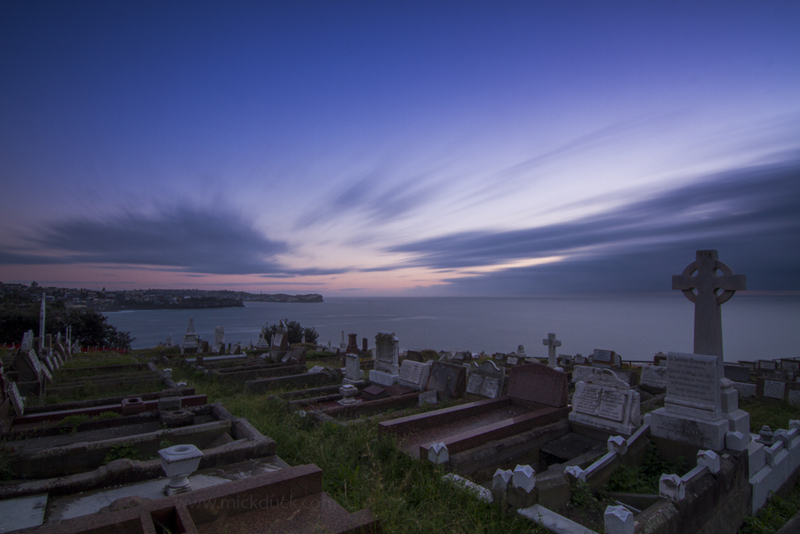 The Waverley Cemetery is on some of the most prime land in the Eastern Suburbs of Sydney. 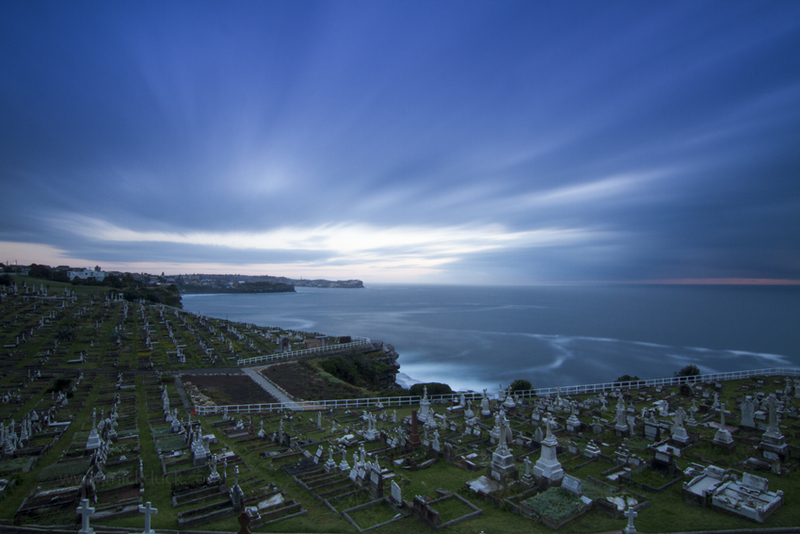 It is quite an iconic cemetery set on the tall cliffs and hearing the waves crashing below is quite peaceful. This early in the morning there are still many people jogging and walking between Bronte and Clovelly. 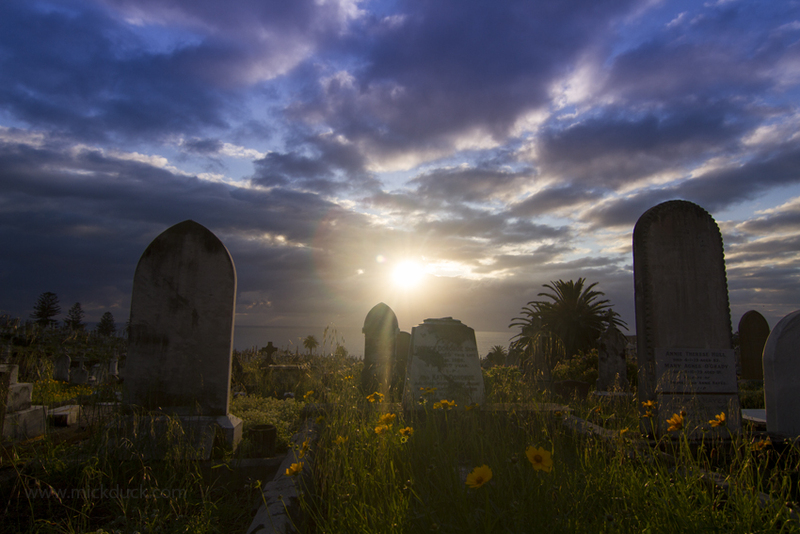 There wasn't much happening with the sunrise as there was quite a lot of clouds around but the long exposure gave some drama to them.